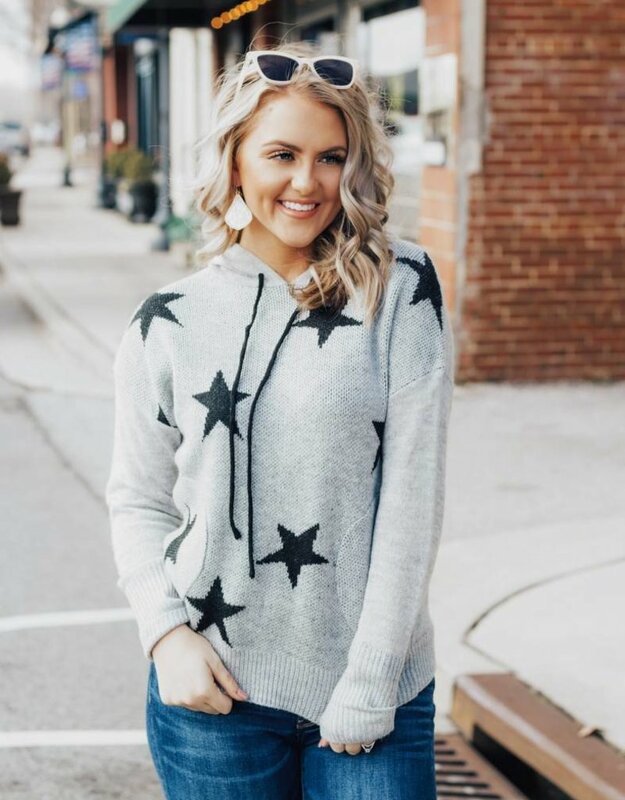 Listen Babes, you are sure to Reach For The Stars when you are rocking this adorable knit hoodie! Star print is so on trend this season and we are obsessing over the print on this top! Throw this hoodie on for an easy on-the-go look that will never disappoint!